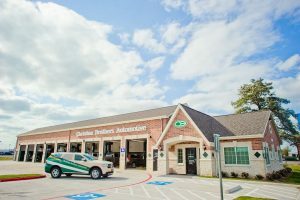 Christian Brothers Automotive Corporation is a national automotive service franchisor headquartered in Houston, Texas. They are a leading seller of full service automotive repair franchise locations dedicated to providing high quality service and professionalism, while maintaining the highest level of ethical standards. The company targets high growth, upper income markets with significant real estate appreciation potential. In addition, they choose the site for each franchise location, as well as construct the building and lease the premises to the franchise. The first Christian Brothers opened in 1982 and we have been franchising since 1996. They now have more than 150 facilities in 24 states and have never closed a location.